You guys starting to notice a theme here? More sea-related products! I figure since it’s still summertime for us in Kuwait, why not stick with summer-y products? A salt water spray that adds body and texture for a natural, matte beach look. 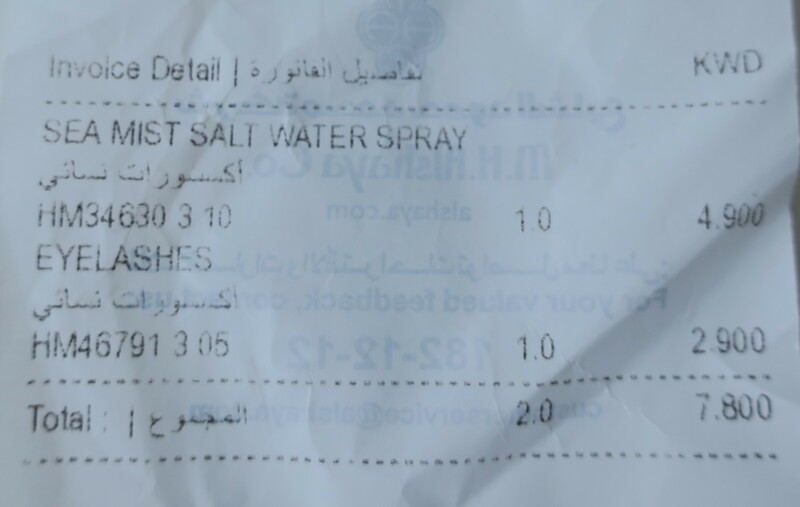 So I was at H&M (Avenues) when I noticed this Sea Mist Salt Water Spray. Doesn’t it sound lovely? My hair is significantly longer now (used to be a lob) but I’ll always love that texturized, beach-y look so I picked this up hoping to recreate that look on myself, sometime soon. That said, I sincerely wish that H&M had proper testers. I mean their products are ridiculously picked over anyway, so why not reserve a tester for each and every item (be it skincare, hair care, or makeup)? Don’t mind me. I’m only complaining because I didn’t get to sniff this in-store, so I’ve got no clue what it actually smells like, but I don’t wanna’ use it just yet, because then I’ll be forced into using it (the expiration countdown begins after the first spritz… or summat) while I’m currently working my way through other hair care products, at the moment. 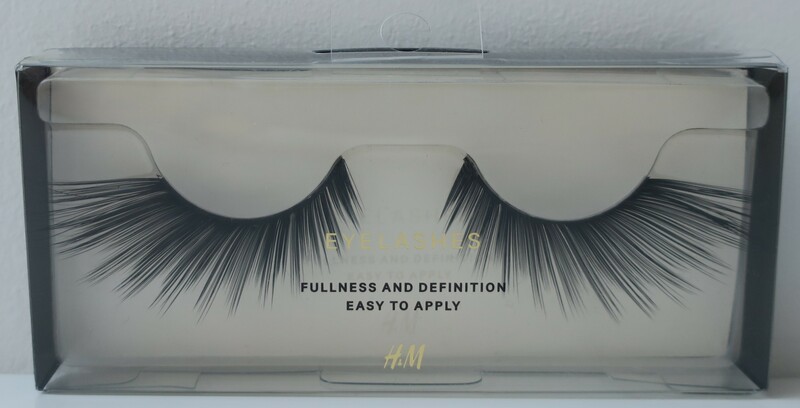 Elegant false eyelashes that create fullness and definition, adding impact to any look. Easy to apply and easy to remove. I picked these up because I’ve become besotted with the idea of “bedroom eyes” (aka sleepy eyes, aka fish eyes). You know, where the outer corner of the eyes turn downwards. I feel like “bedroom eyes” are so pretty! These lashes are so flashy (way out of my comfort zone) but I’m hoping they’ll help me achieve the illusion of “bedroom eyes”. If they look dumb on me, I could always toss them. If not, I could always go back for more (they happen to be budget-friendly as well). This particular style is named “Fierce“. As you can see, the Sea Mist Salt Water Spray cost KD 4/900 and the False Lashes in the style Fierce cost KD 2/900 for a total of KD 7/800. I have yet to play around with either one of these so there’s not much to say really. As always, reviews to come!